How to stage a healthy, happy comeback, no matter why your running got off track. In a perfect world, nothing would stand between you and your running. But life has a way of knocking you off track. A recent study found that more than one in 10 distance runners sustained an injury over a three-month period – and countless others fall away due to new babies, extra kilograms, or misplaced mojo. If your training has been on pause for more than a couple of weeks, you’ll need a measured and thoughtful approach to resume running. All triumphant returns have a few common characteristics, including a slow return and a mind-set that doesn’t involve pining for lost fitness, says coach Lisah Hamilton, host of The Conscious Runner podcast. You’ll probably feel rusty at first, but muscle memory means that sensation won’t linger, says Ryan Warrenburg, a coach at ZAP Fitness. Beyond that, approach each comeback on its own terms. Here’s how to build back up, depending on the cause of your hiatus. By far the most common reason for time off, injuries require an abundance of caution upon return, especially if you’ve been off completely for more than two weeks. Once you’ve recovered or received medical clearance to run again, alternate running and walking for 20 to 30 minutes every other day, Warrenburg says. Gradually increase your running time each week or two, with pain as your guide – back off if you feel worse during or after your workout. Keep your runs easy at first, saving speedwork until you reach your desired weekly mileage. This approach prevents you from swiftly sidelining yourself again, Warrenburg says. For new parents or for accountants during tax season, say, running might temporarily take a back seat. “The quicker you can make running part of what you do again, the better,” Warrenburg says. Block training time into your schedule, preferably first thing in the morning, before conflicts arise. If your layoff involved giving birth, remember that your body has been through a huge transformation. Don’t worry that you’re too fragile to run unless your doctor advises against it, says Megan Lizotte, a coach at Hit the Ground Running. But do build in time for hip- and core-strengthening exercises to reduce injury risk (think bridges, planks, and donkey kicks). And for all new parents or others in a temporarily sleep-deprived state, give yourself some leeway – for instance, take an extra day or two of rest or easy running each week, and consider trading some kilometres for sleep if you feel completely wiped out. It’s a vicious circle – time away from training can pack on kilograms, which in turn weigh down your efforts to hit the road again. Carrying more body mass may slow your pace and make running harder on joints, ligaments, and muscles. Acknowledge this, but don’t dwell on it; instead, view your newfound heft as temporary and focus on the process of changing it, Lizotte says. 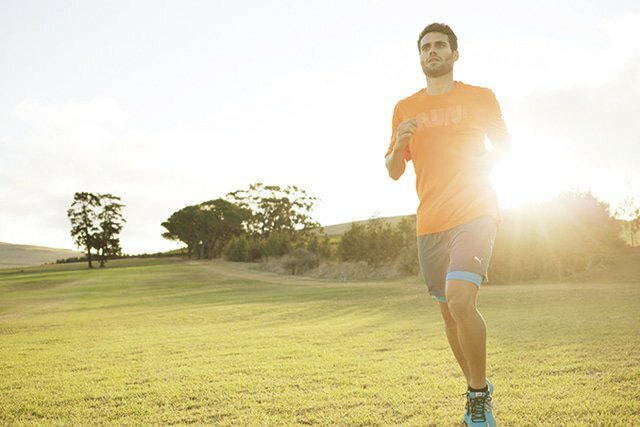 As you ramp back up, eat a diet full of nutrient-rich foods like fruits and veggies, do some running on soft surfaces like dirt and grass to reduce impact, mix in other cross-training activities such as swimming and cycling, and strength-train regularly: in a recent 12-week study, participants who combined cardio and weights shed more fat than those who stuck with one type of exercise alone. Shaking things up can reconnect you with your love of running, Lizotte says. Pick a goal race in a fun destination, or shift your focus from (another) half-marathon PB to a fast 5K or completing an ultramarathon. If you can, build a running fund into your budget; buying cute new tights or attending a running retreat can reignite your fire. So can pushing another participant in a wheelchair, serving as a running guide, or raising charity funds for your kilometres “If you’re getting burned out on yourself, do it for somebody else,” Warrenburg says. Downtime after a big event is actually a good thing, Warrenburg says. Hitting ‘register’ too soon on a follow-up race, either to capitalise on your gains or to redeem a bad performance, deprives your body and mind of critical recovery time. In other words, taking a few short, planned breaks throughout the year can prevent longer, unexpected layoffs due to burnout or injury. Lizotte advises taking as many days off from racing as the number of kilometres you raced. Then, keep running easy until you feel the urge to train seriously again.